IdentityServer4 is a middleware that adds OpenId and OAuth2 endpoints to ASP.NET Core Application. 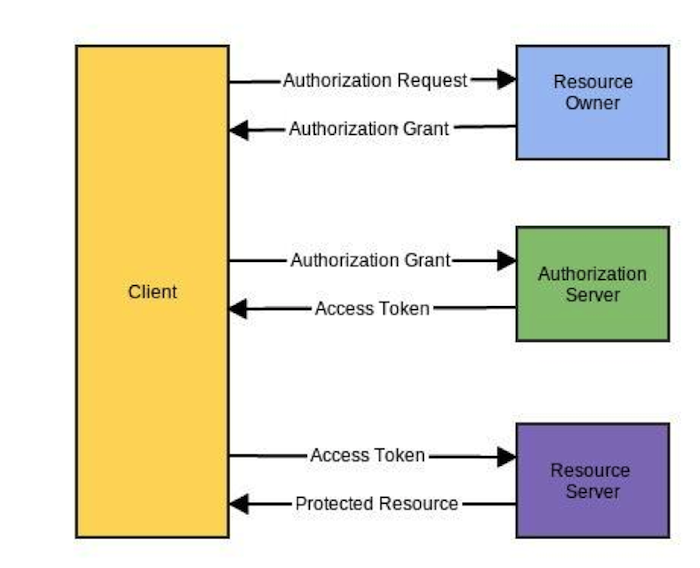 In the previous article I discussed about the secured cluster which can protected your service fabric cluster from the anonymous user but for the OpenAPI which everyone with the url endpoint can gather it. So we need to limit the access to the authorized user. Full source code of this project is availabled on GitHub. But it’s locate in the “IdentityServer4” branch. You have to checkout to that branch. Create new file named “Config.cs”. This file will provide the ApiResource for IdentityServer4. Create new file named “StorageClient.cs”. 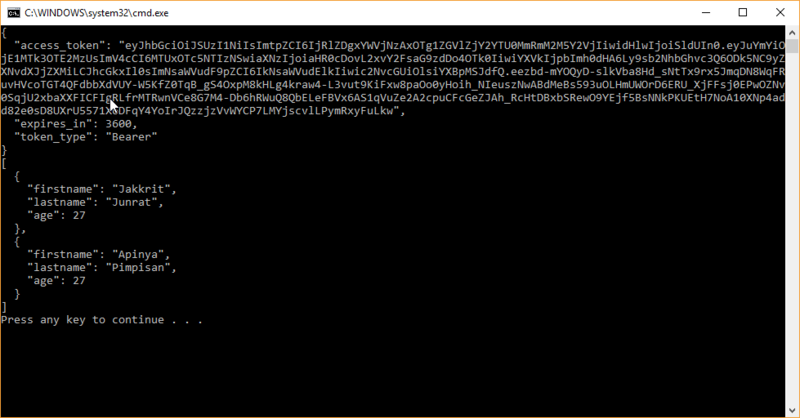 This file will be the Azure Storage Client that stores our ClientId and ClientSecret. 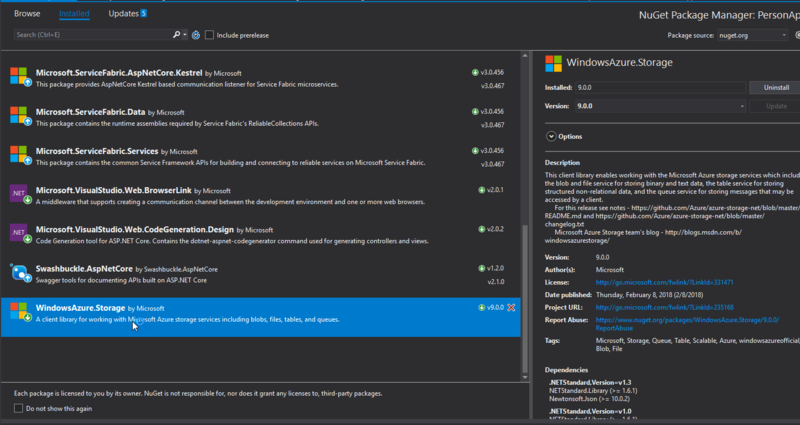 This article use a local storage that means you have to run Azure Storage Emulator or you can use a remote server as well. Create new file named “ClientEntity.cs”. This is the Azure Storage Table Entity Model. Create new file named “ClientStore.cs”. This file will provide the ClientId and ClientSecret from Azure Storage for IdentityServer4. Open “Startup.cs” file. In the “ConfigureServices” method, Insert these lines of code. In the “Configure” method, Insert this line of code. I had mocked some client data like this. Deploy the project and go to “http://localhost:8994/api/Person”. You will get response 401 (Unauthorized), that means your APIs have been protected. Now, your WebApi has been protected. Let’s implement the client app. First, create a new ConsoleApp project and install a NuGet package called “IdentityModel”. In the “Main” method, Insert these lines of code. Run the project and the result should look like this. Thank you for reading. See you on next post. I also need IdentityServer to run in my Service Fabric app. For some reason I cannot fathom I cannot get your code to run. I get an error when trying to access the disco from the client app. I greatly appreciate any help you can extend. Sorry for late reply. Can you provide me the error log? Or you can go to the openid-configuration by go to this url: “http(s):///.well-known/openid-configuration” and see what you get. The disco class will go to check this url to get the json of openid configuration of your server.